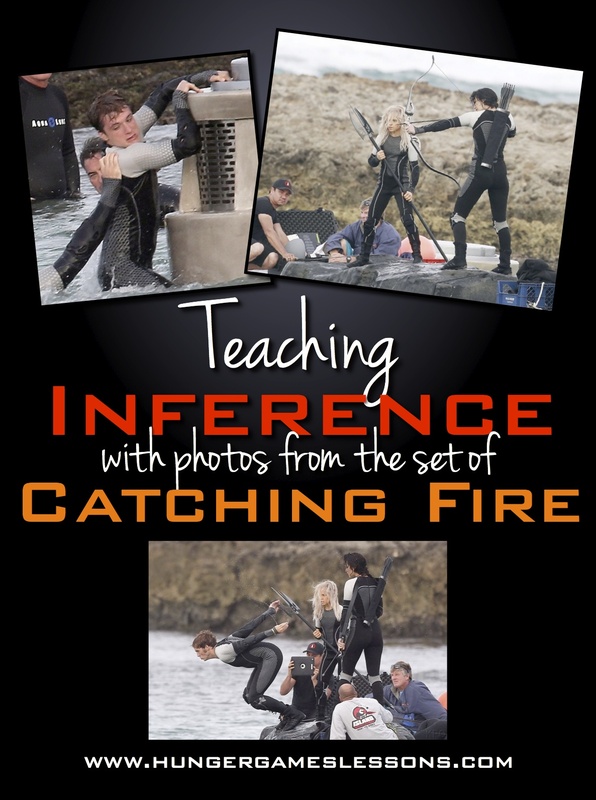 A slew of "The Hunger Games: Catching Fire" movie set photos hit the internet recently, so it's the perfect opportunity to seize that excitement and incorporate it into a lesson on inferring. 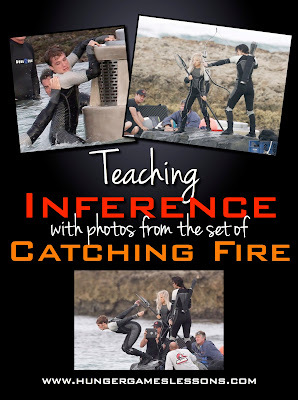 Because inference is a "reading between the lines" strategy, using images from the filming is good practice. No one knows exactly which scenes from the novel are being filmed, but students can make educated guesses based on textual evidence. This exercise forces them to look back in the text to support their inferences. You can find images to project from many great fansites. See below for links to Catching Fire movie set images. 1. What is happening in the images? 2. What do you think happened just before the image was taken? 4. Based on the way the actors are positioned and their surroundings, which scene(s) from the novel are they performing? Support your answers with evidence from the text.